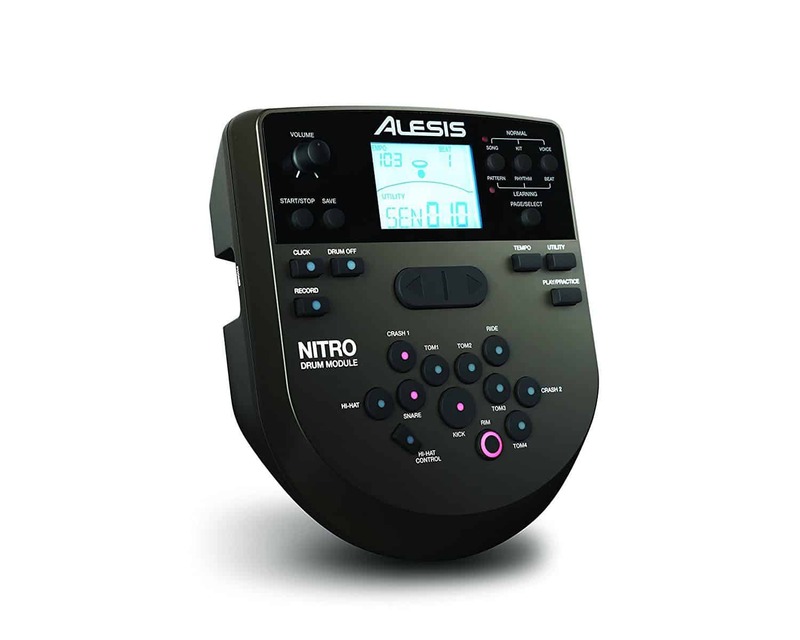 The Alesis Nitro kit is one of the most popular electronic drum kits on the market. 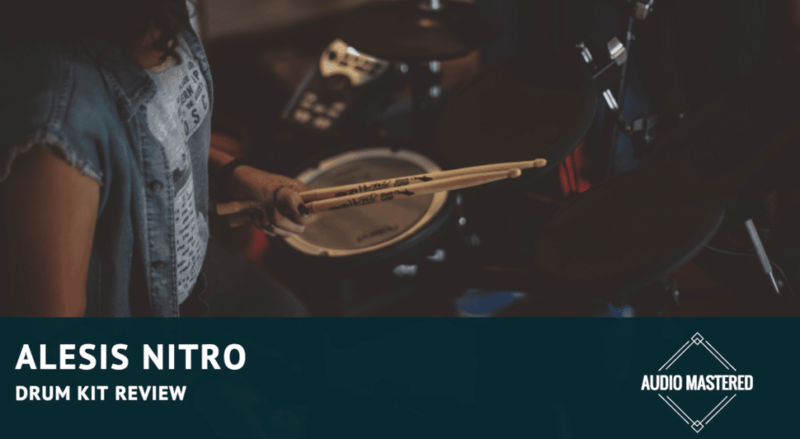 If you are unfamiliar with electronic drum kits it can be challenging to weed through all the options and come out with the best kit for your needs. This review is designed to give a complete picture of the Alesis Nitro kit to help you decide. Just a note before we get started, Amazon will usually have the lowest price with a no-questions-asked return policy. The module is arguably the most important part of an electronic drum kit. Your sound quality will live or die by the drum samples used in the module. The module will also largely affect the versatility of your drum kit. If there was one feature that does it for me with the Nitro it's the drum module. The UI is incredibly straightforward and easy to use. The layout is intuitive and the backlit screen is easy to see in dark jam spaces or studios. It provides you with every feature you will need. Want play-along tracks? There are 60 built-in songs. Need to connect to your DAW? The module will export Midi. Tired of the same old classic rock kit? Try out some of the 40 different preprogrammed kits offered by the Nitro. These kits will get you a long way if you are just starting out. As mentioned above, the layout is very intuitive. The assign buttons on the module itself are arranged similarly to a classic kit. The long short of it is this module is worth twice as much as the price tag. The sample quality is amazing for the price point. However, it does fall short of the DM10 (which is to be expected). While not up to the DM10 in terms of sample quality, the Nitro module still provides amazing sounding drum samples with a ton of variety. If you are looking for something really specific you can use the 385 sounds to program your own unique kit. You can also connect your own music to play along to through the AUX in. If you are looking to record you can either output the audio from the Midi outputs, AUX out, or record it internally within the module (no export function, unfortunately). The Nitro also offers a learning function similar to the voice instructions that comes with the Yamaha DTX400K. This is great for anyone looking to brush up on their technical skill or someone picking up drumming for the first time. The instruction feature is perfect for beginners! If you are familiar with electronic drum kits you will notice right away the lack of mesh heads. This is to be expected at this price range. This isn't something you're going to need to worry about unless you're going to be doing any studio recording or are looking to get the acoustic drum kit feel. There is always the option of upgrading along the way if you are unsure. You will be getting a dual-zone snare. This is essential. You are only getting single-zone toms (totally fine). If you want dual-zone toms you are going to have to pay around $1000 for the kit. Although the pads aren't mesh heads, they actually have a great responsive feel. They are one of the better feeling drum pads within this price range. Keep in mind that these will still make noise. If this is a large concern, you can consider upgrading to mesh heads to keep the noise to a minimum. I should also take this opportunity to remind you that you need either external speakers, a PA, or headphones to make any noise. The headphones can be used for 'silent' practicing, but you will need some sort of external setup to jam along with friends. Another feature that I really like is the Stealth kick pad. 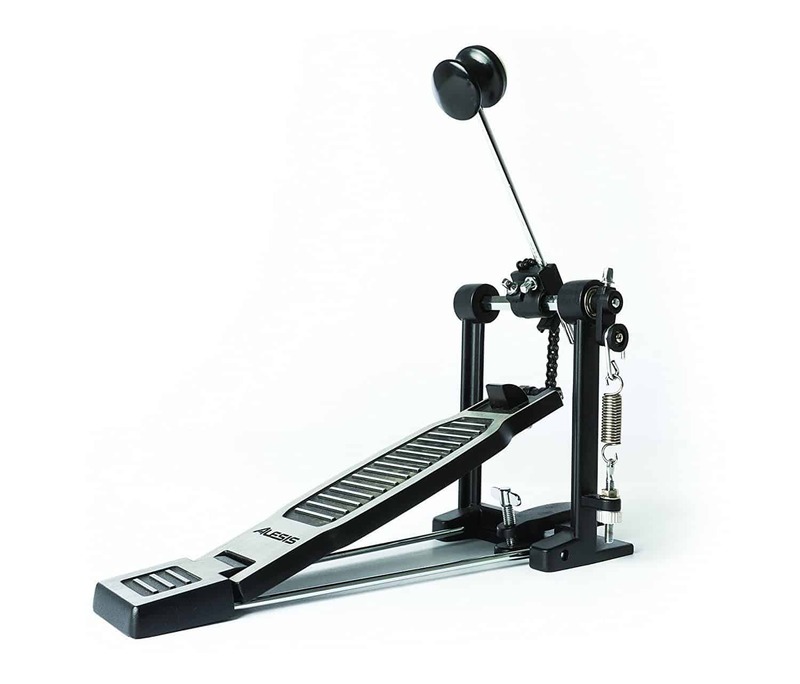 The response feels very similar to a natural 20'' kick drum and is also large enough for a double kick pedal. The one gripe I do have with the kit is the large footprint. While the outer posts can be repositioned, the 4 post design still takes up a little more room than the average electronic kit. However, this will add to the overall stability of the kit. The outside diameter of the frame tubing is also non-standard so you may have to purchase an adaptor if you want to install any additional heads or other accessories. Comes with all the mounting hardware and connection cables. Alesis assumes that most drummers will be picky about their throne and doesn't offer one with the standard package. There are no real complaints regarding the kit itself. The feel is great and the response is above class. You won't be disappointed. The Best value for dollar electronic drum kit on the market. It's really difficult to find anything wrong with this kit. Comparing it to the other drum kits within the price range you can easily say this is one of the top picks. 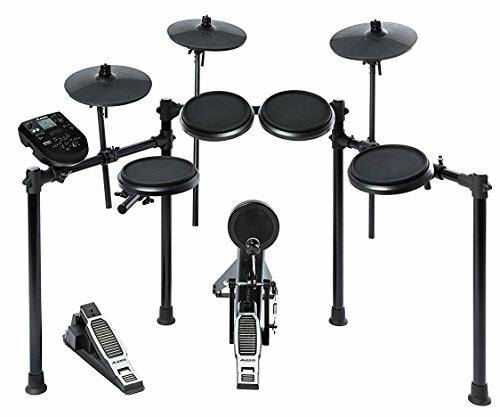 It you're a beginner or are looking to buy a kit for someone with ambitions to learn the drums, I highly recommend it. This is a perfect way to get into drumming without breaking the bank or straining your relationship with your neighbors. If you aren't completely sold on the Nitro there is the option to pay a little more for the Alesis Forge Kit. It's very similar to the Nitro kit with an upgraded drum module. Personally, I'm not going to need the extra 20 drum kits in my module so I would personally stick with the Nitro. If you need some other opinions be sure to check out the Amazon ﻿﻿reviews, or head over to Noise Room and get a second opinion.